In eras long past, we humans would band together and grab the sharpest, pointiest sticks we could find and go hunting. The object of desire: a gargantuan woolly mammoth. Not only to provide sustenance for our tribe, but also because it was the most entertaining thing we could possibly do, aside from chucking rocks at sabertooth tigers and seeing which one of us wasn't quite as fast as the others. 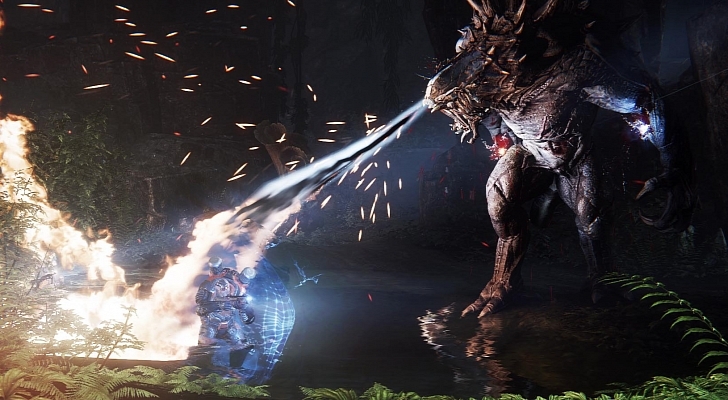 Turtlerock Games, the studio behind the Left 4 Dead series, follows up its zombie apocalypse simulator to bring you Evolve, a shooter in which you and three friends team up to bring down a colossal alien menace. You play as space-faring hunters in the distant future, only this time your goal is not to provide for your people, but to survive against a terrible threat. Oh, and that colossal alien menace? He can breathe destruction. Pre-ordering now rewards you with the Monster Expansion Pack free of charge, giving the goliath a brand new skin and granting access to a second playable monster when it is released. This new critter will have different abilities than your standard goliath, much like the different human classes. If you are so inclined, you can have another player controlling the monster, though we here at Co-Optimus are much more excited to face soulless machines in brutal combat. 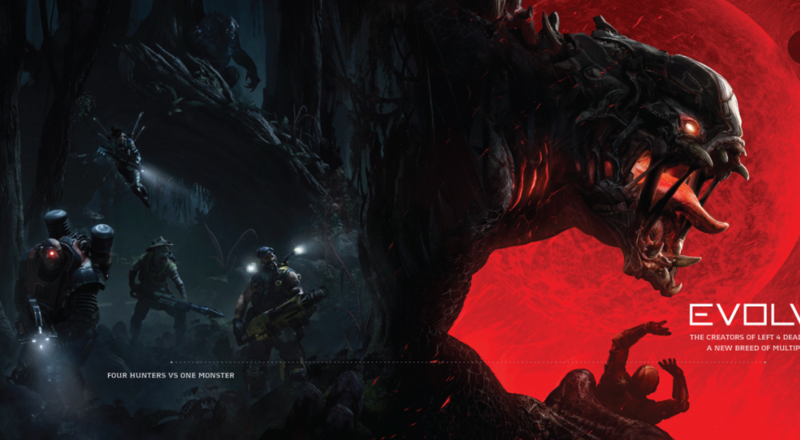 Thankfully that's been confirmed to us via the official Evolve Twitter Account. If you *don't* want to track, trap and kill your friends - you can inflict that on AI-controlled monsters, too. Game Informer has a write up about the upcoming game, scheduled to launch on PC, Xbox One, and Playstation 4 sometime in the fall of this year. Page created in 0.3785 seconds.